Joe Bourne's Brain Dump Blog! 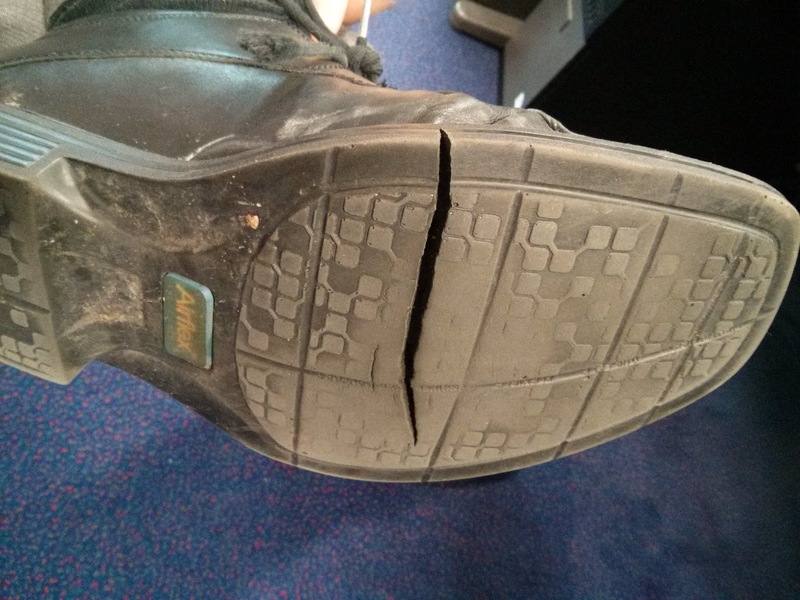 : M&S AirFlex Shoes Cracked Sole AGAIN!! M&S AirFlex Shoes Cracked Sole AGAIN!! So after i chucked my last pair of Marks & Spencers AirFlex Shoes in the bin when the rubber soles cracked, letting in water and making my feet wet, i stupidly bought another pair. Big Mistake - its taken less than one year of normal office wear for the replacement shoes to crack. Do M&S know about this problem i wonder? maybe i'll post the cracked shoes back to them. One thing's for sure, i wont be buying M&S Airflex shoes ever again! !